The New England Aquarium (NEA) will be seeing more foot traffic this month for their newest addition, a baby fur seal name Leu. After a massive online campaign to name the orphaned infant using social networking, word of mouth has brought national attention to the Aquarium and baby Leu and with the summer season approaching now would be an ideal time for the NEA to get its image broadcast even louder. Putting information about Leu online, reaching all the way to MSNBC and other major networks, the NEA could now use some promotional products to keep the buzz lively and encourage more visitors. Leu is now being housed in the Marine Mammal Center, home to dozens of Northern fur and California sea lions, and NEA regularly puts on shows and even runs a special program for visitors to interact directly with the animals. Social media sites like Facebook, Twitter and Tumblr are already alive with pictures and comments regarding the baby seal, moreso than any other exhibit or animal currently being housed in the Boston facility. After such a wide-scale public relations drive to name Leu, giving out custom wall calendars with Leu and the other seals or giving out promotional products with similar images will create more word-of-mouth and increase awareness of the exhibit. 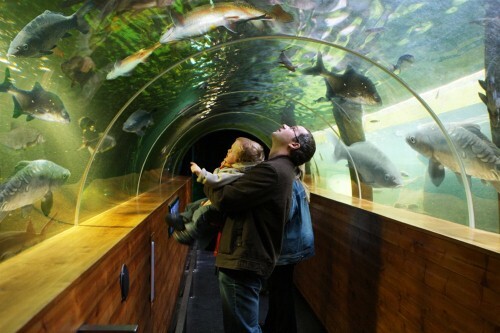 What’s more, June is National Aquarium Month, meaning schools and other local organizations may be seriously looking at aquariums for educational and recreational outlets in the next few weeks. Some local organizations like the Boston Public Library system already gave out free tickets to the NEA and other Boston attractions, but providing these visitors with promo items to get them talking will drive in paying customers this summer. Right now the NEA has electronic postcards on its website that users can send out as invitations and digital promo items. Additionally, handing out actual postcards, custom pens, and other items emblazoned with the the Aquarium’s name will get people carrying the business name right there in their pockets. These mementos will remind them of the good time they had during National Aquarium Month, improving the likelihood of a return visit and referring friends and family there as well.